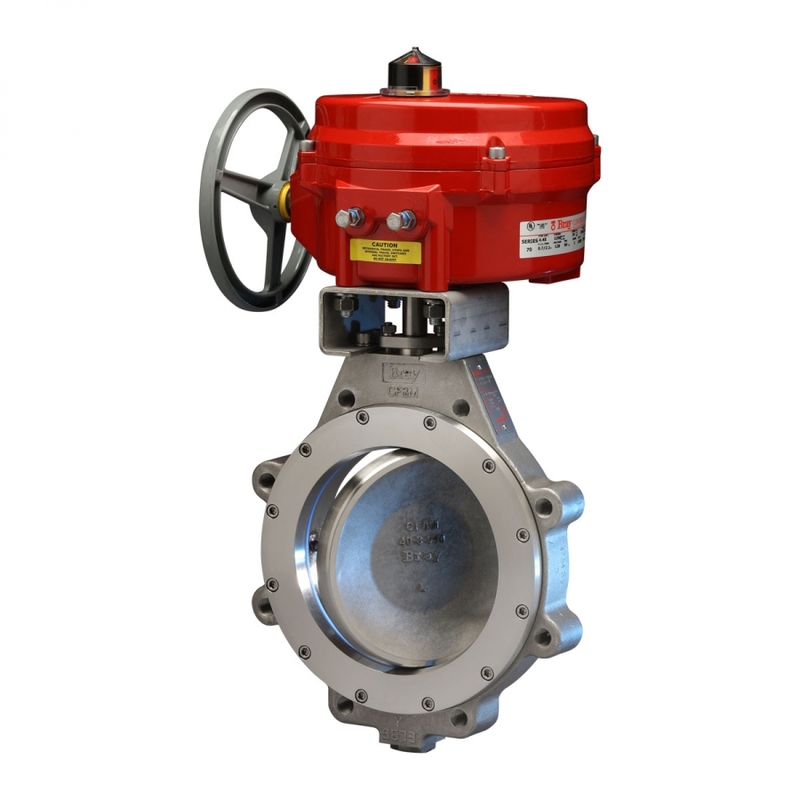 The Bray/McCannalok high performance butterfly valve’s innovative design offers rugged reliability and extremely easy maintenance in the field. Independent and internal tests prove Bray/McCannalok’s superior service life capability, with zero leakage shutoff. The Bray/McCannalok High Performance Valve delivers the highest quality and highest value available for meeting today’s demanding requirements. Available with proven bi-directional fire safe seats for reliable control of flammable and hazardous fluids in petroleum, petrochemical, chemical and other high-risk applications.The fire safe design combines superior performance, extended service life and compliance with the most demanding worldwide fire-test standards – before, during and after a fire! The Bray/McCannalok’s unique, patented design received Chemical Processing’s Vaaler Award for Best Product shortly after it was introduced. The simple, innovative design offers rugged reliability and extremely easy maintenance in the field. Independent and internal tests have proven Bray/McCannalok’s superior service life capability, with zero leakage shutoff through over 100,000 cycles. The Bray/McCannalok valves can be automated inexpensively with Bray’s pneumatic and electric actuators. The Bray/McCannalok High Performance Valve delivers the highest quality and highest value available for your requirements. After a test of over 100,000 cycles at 720 psi, the seat remained in excellent condition, continuing to provide a bi-directional zero leakage seal. Even after more than 878,000 cycles at 2 psi, the Bray/McCannalok High Performance Valve still sealed zero leakage in both directions.